Inadequate medical care is an urgent problem in Nepal which prevents children from fulfilling their potential. 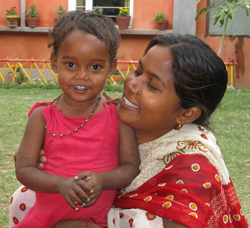 The Nepal Youth Foundation’s diverse programs address malnutrition, emotional health, and HIV/AIDS. Nutritional Rehabilitation Homes | The NRHs use an innovative method to restore severely malnourished children to good health while educating their mothers in nutrition and child care. When mother and child return home, the mother shares her new knowledge with her family and neighbors, multiplying the impact. Ankur Counseling Center | While psychology is only beginning to gain acceptance in Nepal, Ankur is a pioneer in therapy for disadvantaged children. Ankur also provides a wide range of trainings for people who work with youth.